What if you could start teaching your little one to use the potty before their first birthday? 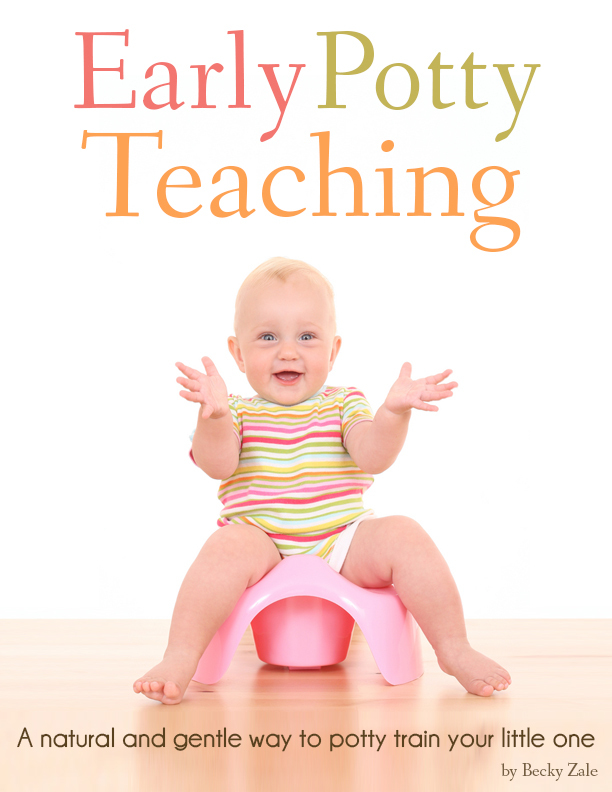 Early Potty Teaching is my eBook where I share how I taught our children to start using the potty before their first birthday with a natural, stress free method. In my eBook, I share how to start your child on the potty as early as 7 months of age, how to transition to underwear, what to do for nap time and bed time, tips for traveling with a potty trainer, helpful tools for potty training and more. 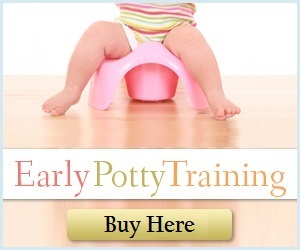 Early Potty Teaching: A Natural and Gentle Way to Potty Train Your Little One is available for only $3.99. Click on the button below to get yours today. And be sure to check out the Reader Reviews below! "I am so thankful for this book and so thankful to have discovered the idea of early potty training through Becky. I wish everyone with young babies could read this! So often our culture teaches that potty training is something to be feared or dreaded. Like preparing for battle. I remember hearing stories and dreading the thought of having to potty train while I was still PREGNANT with my first child. But my experience with early potty teaching was just so different! Becky writes, "this approach to potty training is much like many of the other life skills we teach our children, whether it's how to nurse or drink from a bottle or how to use a spoon." I have successfully potty trained two of my children using the techniques Becky details in this book. I hesitate to use the word "technique", simply because the word feels restrictive. Like there's a set of rules or a step-by-step list that one must accomplish- which is impossible when it comes to potty training because all children are different. This really is potty TEACHING. It's simply a matter of lovingly coaching your child to learn a new skill- something we parents do daily in teaching our children a multitude of other skills. Going on the potty has become a part of our daily rhythm. This really is a stress free approach, for me, and my kids. There was no crying over the potty. No forcing. No pleading. No reprimanding. Just a natural progression. Just like you start slowly teaching your kids to brush their teeth (you use a finger toothbrush when they're infants to get them "used to it"), so you start with the potty. We plopped it down on the floor, and began reading books while they sat, just to get the "feel for it". And our reading time became an awesome bonding time, and so began the positive associations with the potty. Potty time became another opportunity for one-on-one time- they loved it and I loved it! And "oh by the way, if you actually DO something on this potty, Mommy JUST LOSES HER MIND and praises you and kisses you all over and throws a giant potty party!" (Second child. First child was more low key, "good job! that's exactly it!" and moving on. Second one seems to enjoy the party. I'm going with it. :)) Positive associations. And it's just so amazing- these young babies are capable of "getting it". As Becky explains, exposure to the potty early is critical. And I am so thankful I did not wait until full-blown will power kicked in. I started a bit late with my second (I completely agreed when she noted that at 10 months, children are fairly agreeable still- YES they are! ), and at 17 months, she's already learned the word "no". I started at 10 months with my first-born, and the process was much easier. I certainly cannot imagine waiting until later- the mere THOUGHT of potty training at age 2 or 3 gives me anxiety. There's plenty of other battles at those ages- I saved myself a lot of stress by getting this one out of the way early. People are always amazed when they see my kids in underwear already. Or when I go for my son's 3 year checkup and the doctor asks if he has any interest in potty training- the look on their faces when I tell them he was done by 18 months! And my daughter is well on her way at 17 months. Becky, thank you for such a refreshing approach to potty teaching. This book is very well-written, to-the-point, and packed full of great suggestions. A fantastic, laid-back, common sense approach. And if I haven't mentioned it enough, stress free. STRESS FREE. Priceless!" --Jenny M.
"This ebook is an amazing resource for parents (and even caregivers); whether you have already potty trained an older sibling or are starting out with your first, this ebook offers a fresh, gentle, and natural approach to potty training your child and doing it earlier than traditional methods! One thing I love most about this ebook is how EASY and QUICK it is to read and then put into practice. I also LOVE how practical it is, with lots of little tips that make a big difference and makes the potty learning process smoother and less stressful. This is a wonderful alternative to waiting until your child is older and then having a "battle of wills" surrounding potty training. No candy, toys or other rewards necessary. This approach helps your child learn potty habits much like any other natural habit. 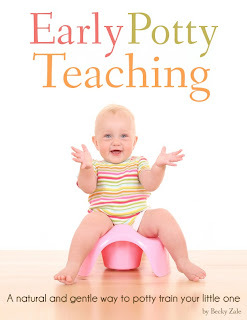 I highly recommend this book to every parent wanting to know how to help their child learn to use the potty in a more gentle and natural way." --Bethany S.